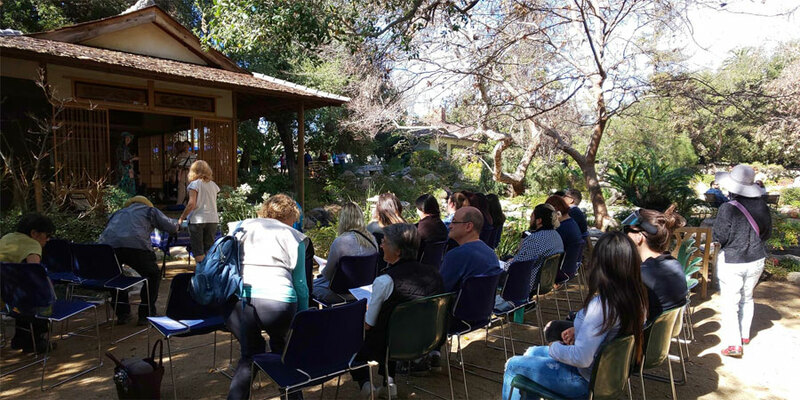 Jan. 27, at the Lunar New Year Festival in Storrier Stearns Japanese Garden Tanka Poet Mariko Kitakubo. 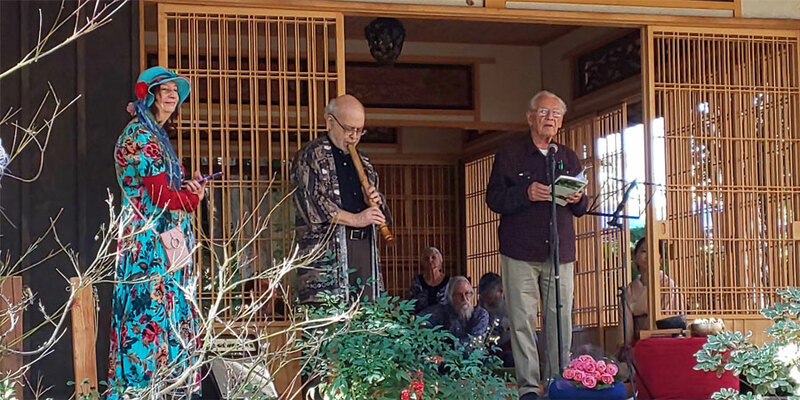 Jan. 27th, I presented tanka reading performance at Lunar New Year Festival held in the Storrier Stearns Japanese Garden. 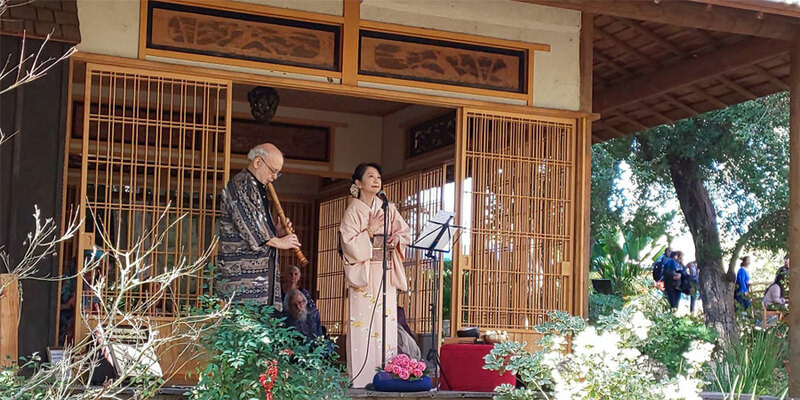 I would like to express my sincere gratitude toward everyone who came to the festival and those who made lots of efforts to create wonderful and comfortable atmospherer for this day. Among all, I was very much honored with a comment from an American lady. 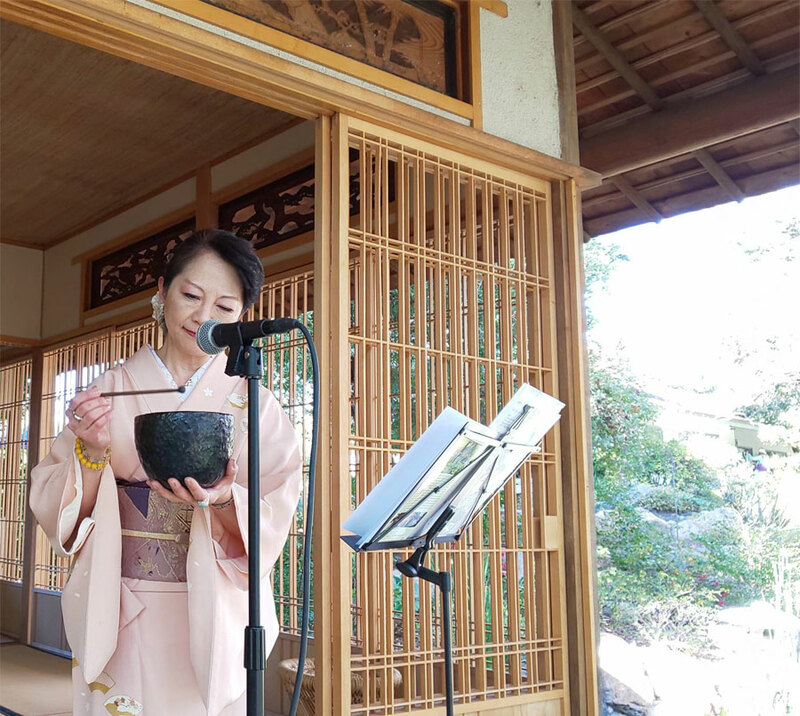 After the event, she told me, "Where can I listen to your reading performance next time? How can I learn tanka from you?" I am glad to find one more person who are charmed by tanka. I would like to conitinue doing my best to meet more people like her. 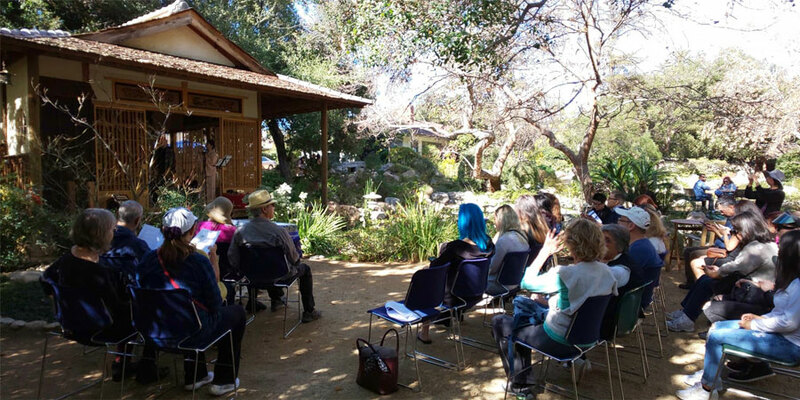 Mr. James Haddad, the owner of the Storrier Stearns Japanese Garden, presented reading. The members of Ms. Kathabela Wilson's English tanka group. 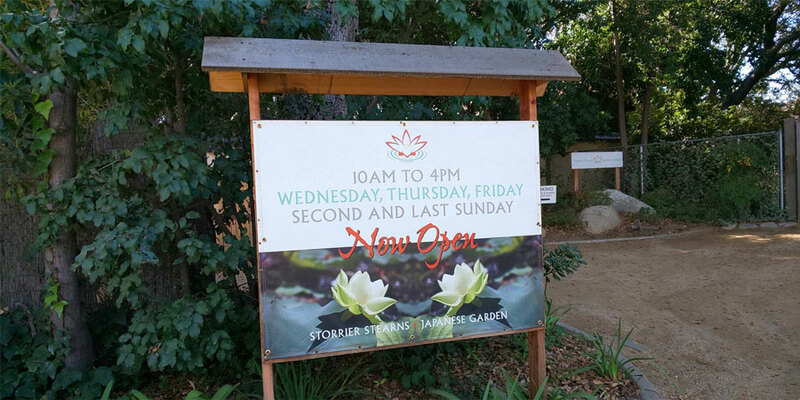 Ms. Kathabela Wilson told me that she started creating English tanka 12 years ago when she first heard my tanka reading performance at the Pacific Asia Museum in Pasadena.